My previous editor at Thomas & Mercer, Jacque Ben-Zekry has a brand-spanking-new website for her editing service, MODIFY EDITORIAL. She’s worked behind the scenes on some of the biggest novels of recent years, such as Blake Crouch’s WAYWARD PINES series and his smash-hit bestseller, DARK MATTER. Last year she left Thomas & Mercer to pursue freelance editing full-time. I have worked with Jacque on two novels. 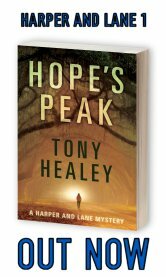 HOPE’S PEAK was fully formed when she read it. Jacque worked to take it to the next level, and then some. 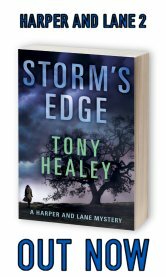 When it came to writing STORM’S EDGE, she worked with me from the outline stage through to the initial edits. Her knowledge, intelligence and storytelling-knowhow has taught me so much, and I will definitely find a way of working with Jacque in the future. “I have always been fascinated by the duality of the writer’s life. Writing is the ultimate solitary task, and yet writers write to share their stories with others. Developmental editing is the process by which the internal, solitary task of writing becomes sharp, focused communication with the world. For a writer, developmental editing should challenge your assumptions about storytelling, help you see the strengths in your work, the weaknesses that are holding you back, and understand how other people may interpret what you’ve written. Along the way, in this rollercoaster ride that is called ‘Writing’ I’ve learned from a lot of people. A lot of mentors. Many of those are fellow authors, trying different things, teaching me that there were better ways of writing. Some of those mentors have been editors. Jacque is one such mentor, and I am indebted to her for teaching me what she has. My work wouldn’t be the same without it. ← #GE2017 REMEMBER TO REGISTER TO VOTE!